Last month, advocates and professionals who work with children and families came together during the inaugural conference of the Children’s Screen Time Action Network, a coalition convened by Campaign for a Commercial-Free Childhood (CCFC). As the director of New Dream's Kids & Commercialism program, I was thrilled to represent New Dream at the event. It was a powerful gathering that shed light on the myriad ways that marketers and tech companies hook kids on screens, to the detriment of children's health and well-being. It was also inspiring, paving pathways for parents, teachers, advocates, and providers to collaborate on ways to resist today’s screen-dominated, commercialized childhood—and to reclaim time and space that ensures all children the right to optimally grow and learn, and every opportunity to thrive. Below are five major takeaways from this important conference. They’re steps that any adult who cares about children, and the future of our planet, can take to make childhood what it should be for kids: filled with play, quality time with caring adults, and exploration in the natural world. Be part of this growing movement—guided by the belief that “reducing children’s screen time is not only necessary, it’s possible”—by taking action. 1. If you’re a parent, limit kids’ screen time—and be a media role model. Setting limits on the amount of time children spend with digital devices is the first step parents can take to carve out the screen-free time kids need. The American Academy of Pediatrics (AAP) guidelines offer a good starting point. For example, they recommend no screen time for babies under 18 months and no more than one hour of high-quality programming a day for children aged 2 and up—ideally co-viewed and discussed with a parent or caring adult. Meanwhile, there's a lot of evidence that toddlers and young children would be better served by participating in hands-on, screen-free activities, such as creative play and bonding with family, as Dr. Nancy Carlsson-Paige showed in her presentation “Young Children and Technology: Risks and Hopes.” And Dr. Victoria Dunckley pointed out in her keynote “The Overstimulated Child,” that many children and teens—particularly those who are more vulnerable to the negative effects of screen overuse—would do far better with no screen time at all. As parents, we are our children’s greatest teachers when it comes to screen time (as with anything else). As we set limits on the amount of time that our children spend with devices, another powerful action we can take is to model appropriate screen use. When we commit to making time with our children uninterrupted by mobile devices or other screens, we are normalizing and prioritizing undistracted family time. Dr. Dunckley suggests that parents pledge to only use phones, iPads, and computers for a certain block of time each day while children are present (for example, 5-6 p.m. in the evening), and implement a consequence, such as a $1 payment to an offense jar, when a parent breaks the rule. This way children understand that parents are setting their own limits, not just reprimanding them to put down the devices. Limiting our kids’ and our own screen time can be challenging. For practical tips to help you replace screen time with quality time, check out New Dream’s Family Guide to a (Mostly) Screen-Free Summer and 5 Simple Steps to Reclaiming Your Weekend. 2. Make informed decisions about what and where children watch. Two powerful, yet simple, steps that parents can take to limit harmful effects of media on their kids are to restrict screen media that features violence, and to ensure that kids' bedrooms are free from TVs and other digital devices. Parents also must beware of commercialism. As CCFC’s Executive Director Josh Golin stressed, it's important to understand that the vast majority of content created for children (television shows, movies, video games, internet programs, etc.) is designed to sell products, not to enhance the lives of children. The explosion of child-targeted mobile apps has arrived with very few regulations in place to protect children from harmful advertising. It’s critical for parents to be vigilant about content—the "what" that is shaping kids' character and habits. For example, many free apps geared toward children that might seem benign use emotional manipulation tactics to push "in-app" purchases on kids, as the AAP's Jenny Radesky points out. So, when using a Strawberry Shortcake app, your young child might be able to use the free dull-colored crayon coloring tool, but will be steered toward and prompted by your child’s beloved characters to purchase the brighter, costly tools. Because most of kids’ time on mobile devices is experienced on their own without the presence of an adult, it’s important to vet the content that children are using, and to advocate for policies and practices that preserve the rights of all children to not be targets for increasingly sophisticated and insidious advertising. If what programmers refer to as “brain hacking” is not something you think is right to be deployed on children, please share Dr. Freed’s article with your networks to help pull back the curtain on persuasive design. 3. Be a champion of "play." So what should children—especially (but not only) young children—be doing instead of watching TV, YouTube videos, and playing mobile apps? The research is clear: playing in the physical world. Play is the foundation of learning. It's how children learn problem solving and critical thinking. It's how children make sense of their world and work through difficult lived experiences to gain mastery and resilience. Dr. Nancy Carlsson-Paige illustrated the incredible power of young children’s self-directed play with evidence from early childhood education and real-life examples. She also described the alarming reality of how children’s play is endangered, as children’s time and experiences are dominated by screens and by the limiting and commercialized stories that screens proliferate. 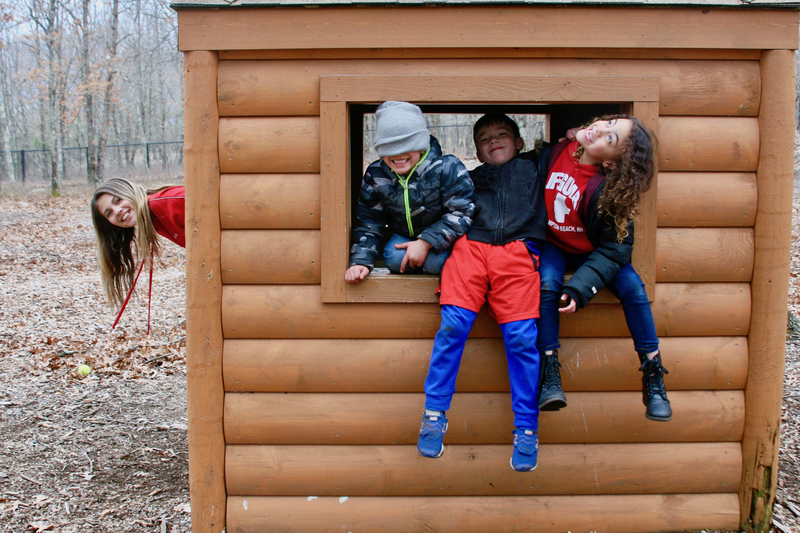 Ensuring that children have ample screen-free, commercial-free time to play and connect with friends and caring adults is a great starting place. But we can’t stop there. All children deserve the right to play, regardless of circumstance. As Dr. Diane Levin demonstrated, educators, caregivers, and others who want to make a difference in children’s lives can have a powerful role in promoting play. How can we work to preserve this fundamental right? 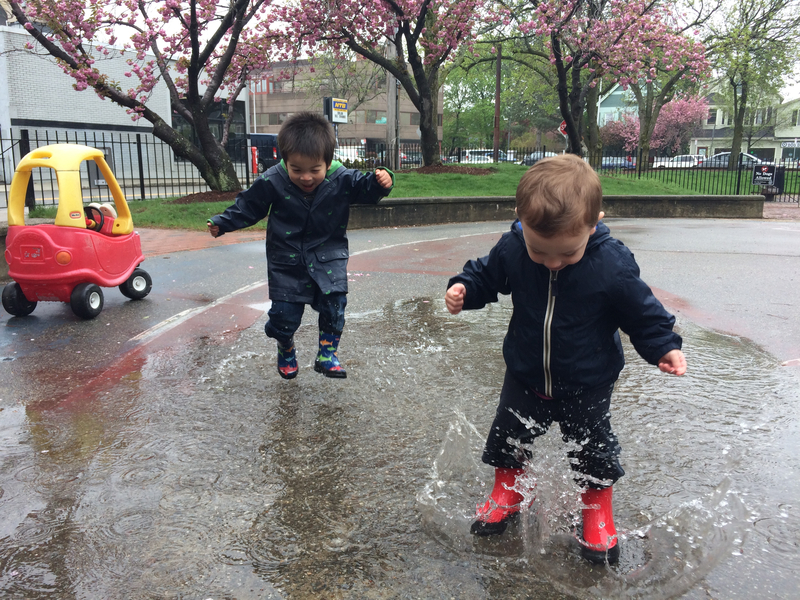 Join with Defending the Early Years to make sure that play’s place in early education is respected and elevated, not hampered by inappropriate standards, assessments, and classroom practices popularized by corporate education reform. Check out Teachers Resisting Unhealthy Children’s Entertainment (TRUCE), which offers a fantastic support network and a wealth of free resources, including advice to help parents and families prioritize play, as well as practical play and toy ideas. Visit the Children & Nature Network for tons of information and inspiration to help you help kids get outside and play in order to experience the wealth of benefits associated with time in nature. Play is a fantastic alternative to screen time. It’s fundamental to children’s healthy growth and development and contributes to well-being for all ages. When we play together, we nurture relationships, we build a sense of togetherness and interdependence, and, importantly, we have fun. This summer, we hope you’ll join us in taking New Dream’s Community in Action “Play!” Challenge, and pave the way for more play in your community. 4. Advocate for sane screen policies in schools. Digital devices have dramatically changed children’s educational experience. Joe Clement and Matt Miles, teachers and authors of the new book Screen Schooled, presented a compelling case that these changes have overwhelmingly been for the worse. In addition to kids being distracted and overwhelmed by their own devices during the school day in many schools across the U.S., teachers are expected to incorporate more and more technology into their classroom lessons. Often there’s little credible evidence to support the use of screen technologies over other methods for effective teaching and learning. Instead, district administrators buy into myths that educational tech companies sell about the ways today’s “digital native” children best learn. Often, bogus corporate-sponsored research is offered as support for these claims, and administrators, believing they're doing what's best for kids, jump onto the high-tech train by signing expensive contracts with tech companies like Dell or Apple. The result, as Clement and Miles describe, is an educational situation in which kids and teachers are bound to screens during the school day (on top of the immense amount of time kids spend on screens outside of school), and this is having a damaging effect on our children’s education. What’s just as concerning is that teachers and parents are not expected to challenge this tech-saturated direction. They're expected to be complacent “early adopters” of new classroom technologies, and those who aren’t are labeled rabble-rousing resisters. Start by asking questions. If you’re part of a school community, one of the first questions that Clement and Miles suggest asking decision makers is: “Why is using technology more effective for teaching this content than a low-tech method”? There will be times when tech is helpful as a teaching tool, but most of the time the answer will not hold up. This can lead to a larger discussion about the use of technology in your community’s schools, and making progress toward sane screen policies. Work on getting your school to implement a "mobile device-free school day" policy, which many schools have in place to limit students’ personal screen use. Excessive screen time and commercialism is harmful to kids. It’s our responsibility to stand up for the rights of our children and to challenge companies that profit from kids spending more and more time on digital devices instead of in activities that contribute to their well-being. We also must build alternatives to screen-saturated, consumption-oriented lifestyles in our communities to plant the seeds and nurture the growth of more meaningful, joyful living. Sign up with Campaign for a Commercial-Free Childhood today for action alerts and to keep up to date with the Children’s Screen Time Action Network. And “Get Started” with New Dream’s Community in Action Challenge to start building a new tomorrow in your community today. Shara Drew is the director of New Dream's Kids & Commercialism program.